The City of Boston uses a list provided by the state of Massachusetts to select applicants to be hired as Boston Firefighters. The list is created from the results of a statewide basic aptitude test that is held every two years at various locations within Massachusetts. There are several qualifications that must be met at the time of the test. For example, there is a minimum and maximum age and residency requirement. Be between 19 and 32 years of age. Be a resident of Boston for 1 year before the test. Fill out an application from the Massachusetts Civil Service website, link provided. For additional information contact the Commonwealth of Massachusetts, Human Resources Division. Successfully complete a written Firefighter test. The written test a general firefighter test. Pass the Physical Ability Test by preparing well before you submit your application. 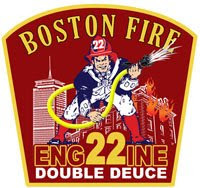 The test that the Boston Fire Department uses is from the state level. The Commonwealth of Massachusetts Human Resources Department has put together a very helpful preparation guide for the test. The link is at the bottom of this page. Pass a background screening and character investigation. Be truthful when filling any background forms. It is better to explain a past problem instead of them bringing it to you. Submit to a medical exam and meet the required fitness level. Any vaccines offered by the department should be taken. Ensure you have a valid driver’s license issued by Massachusetts is required.